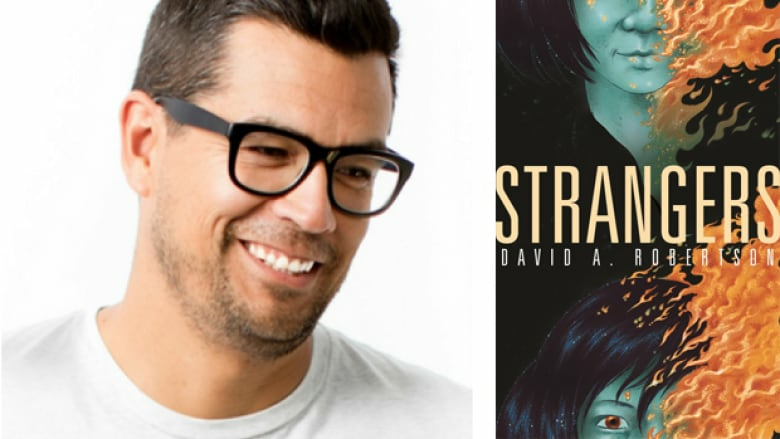 A supernatural murder mystery set in a First Nation that involves ghosts, a trickster figure, and a young man with a tragic past who has come home after 10 years, is the synopsis of David Alexander Robertson’s new book, Strangers. A supernatural murder mystery set in a First Nation that involves ghosts, a trickster figure, and a young man with a tragic past who has come home after 10 years, is the synopsis of David Alexander Robertson's new book, Strangers. The book was originally slated to be a television show, but that opportunity didn't happen. Instead of tossing the story, Robertson decided it would work well as young adult fiction. "I wanted to tell a story involving all First Nation characters, that anybody could read," said Robertson. "[Young Adult] is probably the hardest genre that I've had to write, because of the way it has to be written, and some of the tropes that you have to follow, and then also, at the same time, make it feel really unique," Robertson explained. Writing the YA novel from an Indigenous perspective, Robertson included Coyote — a trickster figure that is commonly found in Indigenous literature. "Because he's been written about so much, I wanted to take a really fresh look at [Coyote], I wanted to make him feel new," said Robertson. "When I'm writing him, he kind of does his own thing ... things that I didn't really expect him to do … he breaks the fourth wall, he'll talk directly to the reader, and even on the back of the book he's quoted — he's blurbed his own character." With a Governor General Award winning children's book and graphic novels already under his belt, Robertson is not shy to take on new genres. "I like to challenge myself, I find that writing different genres helps me develop skills as a writer in general," said Robertson. "Writing graphic novels helps me with dialogue, writing prose helps me with imagery and description … not that I get bored, but I like to try new things." The book is the first part of a trilogy, with the next two parts coming out the next two Octobers. "With this trilogy I've modeled it in a way after Star Wars a little bit," said Robertson. "Star Wars: A New Hope can function as its own story, and Empire Strikes Back gets very dark." "Book two gets very dark, and the world expands, and a lot of things happen with Cole … and it really centres back on the redemption of him and his return to the community." Robertson says he sees a resurgence in writing from an Indigenous perspective in Canada, and is excited to see where it will go. "I'm so encouraged to see many Indigenous writers ... tackling issues that are important in ways that are new and unique," said Robertson. "There's a reclamation happening that I'm really honoured to be part of."